ADHD and SLEEP. Children and Adults: Sleep Better Tonight! 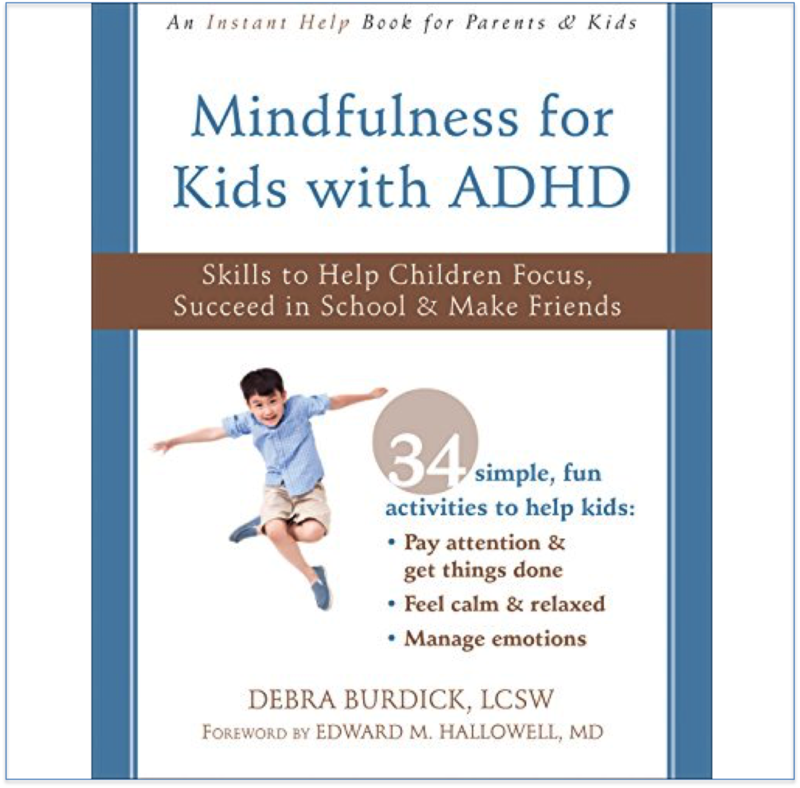 Author: Debra Burdick, LCSW, BCN is an international expert on Mindfulness and ADHD, an award-winning #1 best-selling author, licensed clinical social worker, board certified Neurofeedback practitioner, and online expert at SelfGrowth.com who recently retired from private practice to slow down and focus on writing and speaking. She helps people improve their lives with Mindfulness. She is a frequent speaker for PESI and other organizations, teaching workshops on ADHD as well as Mindfulness Skills to psychotherapists, teachers and other helping professionals, nationally. She also provides Mindfulness training to business leaders and executives to improve their leadership and business success. 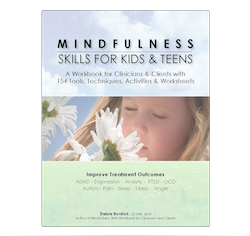 Her other books include: Mindfulness for Teens with ADHD, ADHD: Non-medication Treatments and Skills for Children and Teens (Benjamin Franklin GOLD winner in psychology, Mindfulness Skills Workbook for Clinicians and Clients and Mindfulness Skills for Kids and Teens.Her CDs help with ADHD, sleep, and mindfulness. 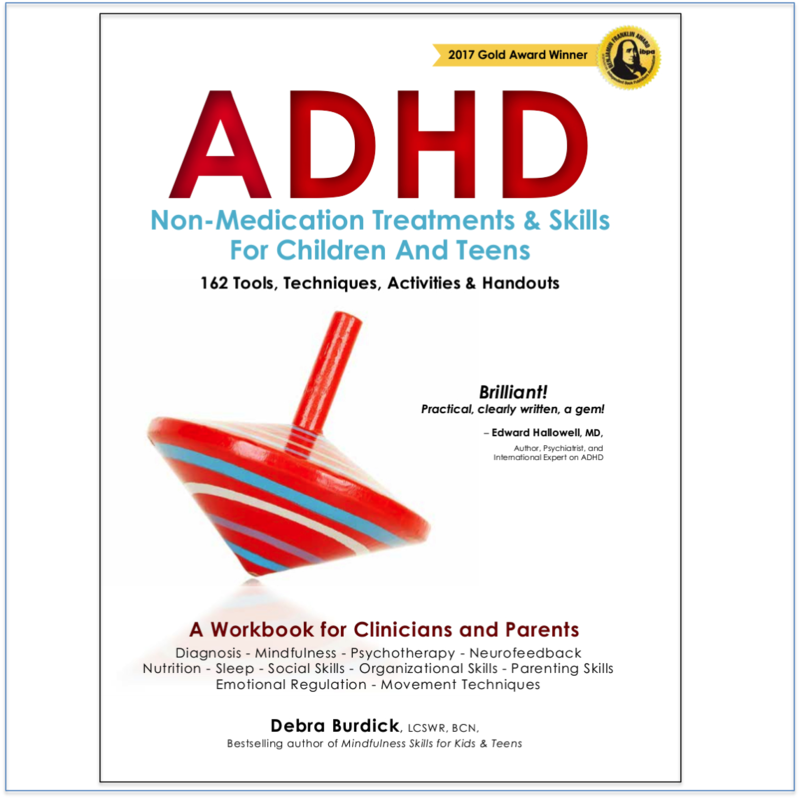 Book Synopsis: Seasoned clinician and mother whose daughter had a significant ADHD related sleep disorder, Debra Burdick draws on nearly 27 years of clinical and personal experience to offer a holistic approach for getting a great night’s sleep for adults and children with ADHD. This book and CD set provides a step-by-step process to address every aspect of improving sleep including taking too long to fall asleep; waking up too early; not waking up early enough; and feeling exhausted all day. How does ADHD impact sleep and how does sleep impact ADHD? What interferes with sleep? How can kids and adults with ADHD get enough sleep to feel rested every day? What skills work for getting to bed on time and falling asleep faster? What tactics are effective for getting up on time? This easy to use book and hour long CD teaches adults and parents how to solve the sleep dilemma. The second CD contains a sleep meditation to gently relax the busy ‘monkey’ brain of the listener and lead them into a restful, rejuvenating sleep.